Mary Robinson is a national treasure. She became Ireland’s first ever female President in 1990, back in the days when our country was run almost exclusively by greying men in suits. She smashed through that glass ceiling and left a big gaping hole for the rest of us to clamor through, not just in the areas of politics, but in leadership in general. If Mary could do it, so could we! After serving one term, Mary took up the role of United Nations High Commissioner for Human Rights, an immensely important role in which she fought against racism, poverty and injustice, all across the world whilst here at home, she campaigned for women’s rights and family planning. 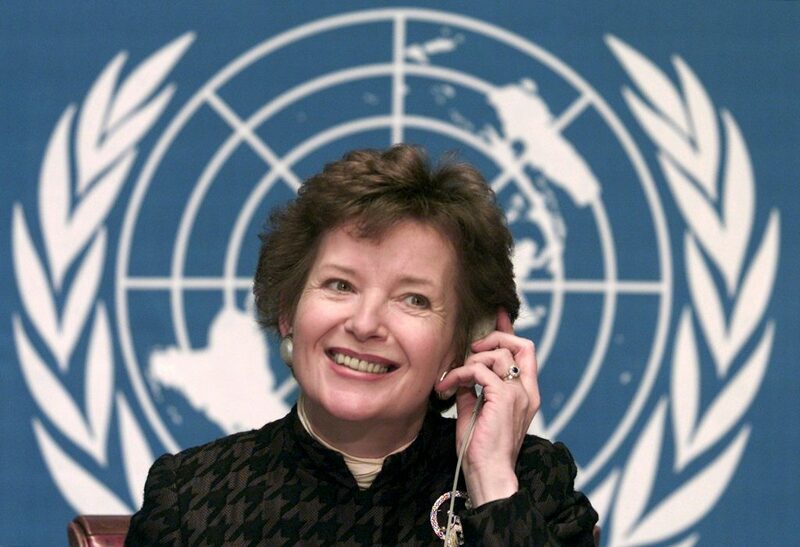 Mary Robinson learned early on what it takes to make sure all voices are heard. When she travelled abroad as President, she would place a light in her window that would draw people of Irish descent to pass by below. Today, as an advocate for the hungry and the hunted, the forgotten and the ignored, Mary Robinson has not only shone a light on human suffering, but illuminated a better future for our world. Before becoming President, Mary studied Law in Trinity College and Harvard Law School, where she was appointed Reid Professor of Law in the college, a very prestigious title. Now, Mary has turned her attention to Global Warming, and has partnered with Maeve Higgins (national treasure in training) to bring us the gift which is Mothers of Invention, a podcast in which they teach us all about global warming “a man made problem with a wonderfully feminist solution”. You can listen to the trailer here. Its so awesome. 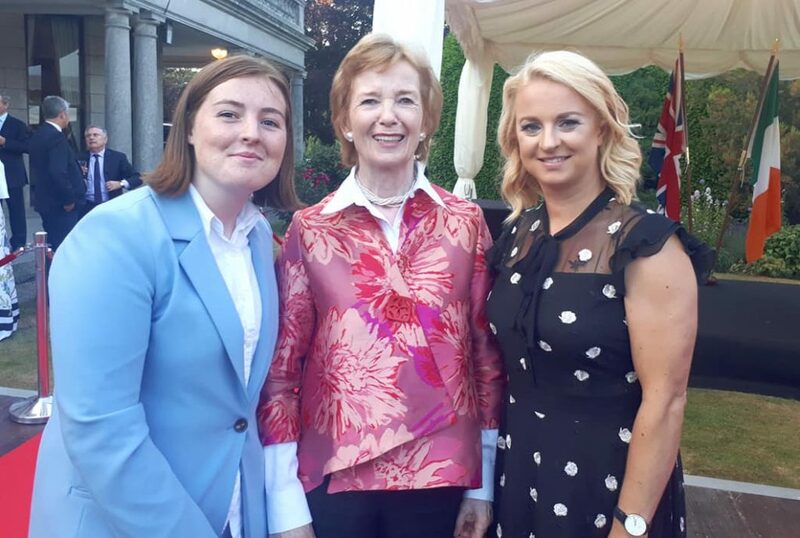 We also love Mary Robinson because she is one of our best friends and most dedicated supporters, as you can see below. (Okay, maybe not, but she did let us stand beside her that one time).